Wara, a Japanese izakaya restaurant and dinner theater, will open in April 2019 at 67 First Avenue. 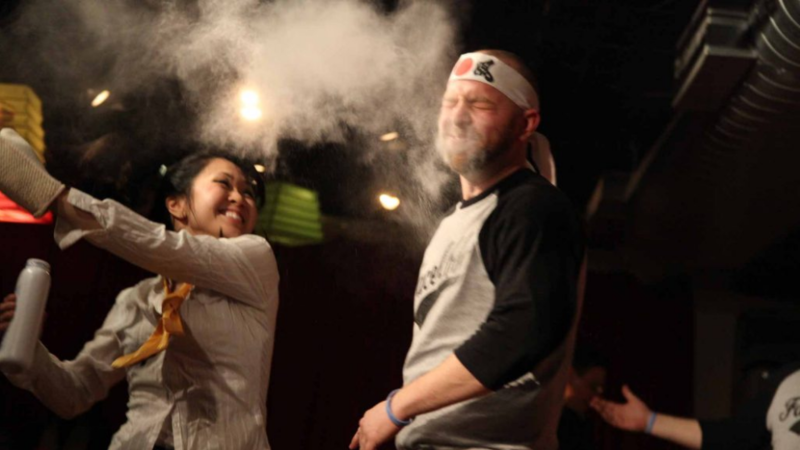 The experiential dining experience features sushi, Japanese pub-style eats and a Batsu theater, a show where actors are comically punished after losing a competition or bet. Wara, whose name translates roughly to “laughing out loud,” took a 15-year lease at the corner spot of First Avenue and East 4th Street. The space offers nearly 1,300 s/f of ground space and a 700 s/f basement. The asking rent was $15,500 a month, according to Sinvin Real Estate’s Steve Rappaport, who represented Wara. The landlord, Landlord Icon Realty, was represented in-house by Zach Levine. The space was previously home to a Korean restaurant called Space Mabi. Wara’s owner, Wayne Yip, also owns Jebon Sushi, which currently hosts Batsu performances, and Clay Pot on St. Marks Place.